Social shopping site Fashism announced Friday that it has raised $1 million in a Series A round of financing led by Ashton Kutcher’s fund A-Grade Investments. Kutcher will be joining Fashism’s board of directors. Fashism was previously self-funded, but now it’s added a long list of new investors: actress Demi Moore (Kutcher’s wife), fashion critic and Project Runway judge Nina Garcia, SV Angel (Ron Conway, David Lee), High Line Venture Partners (Shana Fisher), NV Investments (Vivi Nevo), Vast Ventures (Doug Chertok), and Rick Webb. The site looks really simple to use and, even for someone who cares little about fashion like myself, it’s actually kind of fun. On one section of the site (“Does it work?”), users submit a photo of themselves wearing an outfit they want opinions on, along with a title and description, and other visitors to the page can click whether they like it or hate it. Users don’t need to have an account on the site to vote. Another section of the site (“Which is better?”) lets users upload two photos for a side-by-side comparison of two different outfits or items of clothing. Voters merely click to show whether they like one or the other more. “Fashism,” according to co-founder Brooke Moreland, is an intentionally ironic name for the social site, which is based on democratic feedback on style. Since its founding in 2009, the site has registered 40,000 users and has seen 50,000 downloads of its iPhone app. Moreland says an Android app is going to be a priority for the site because so many Fashism users (Fashists?) are teens with Android phones. Look for a 2011 launch. The company’s new funding will go towards further development and an upcoming redesign of the site. As for possible revenue-making models, a clothing site like Fashism will probably have many opportunities. It’s good to see fashion going online and using the power of social and mobile to create interesting new tools like this one. 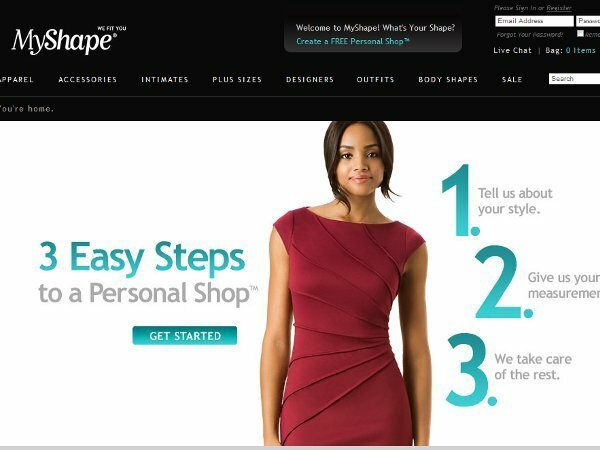 A week ago, MyShape raised $5.5 million for a site that seeks to make shopping for clothing online more reliable by taking very specific size measurements. And a month ago, a clothing site for girls called Fashion Playtes raised a $4 million first round. Fashism has also partnered with indie clothing site Modcloth.